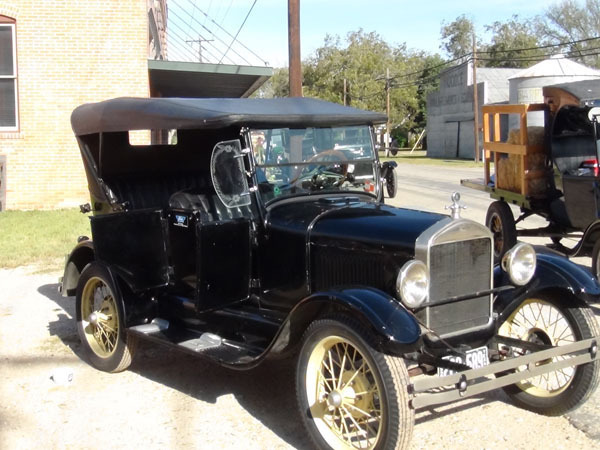 See what we are driving! 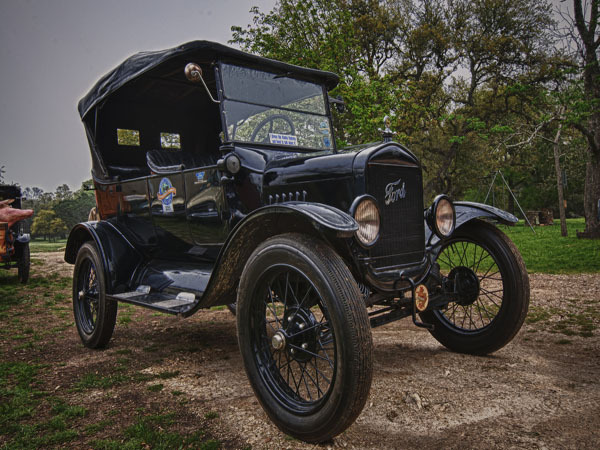 Henry Ford revolutionized the way we travel from one place to another. 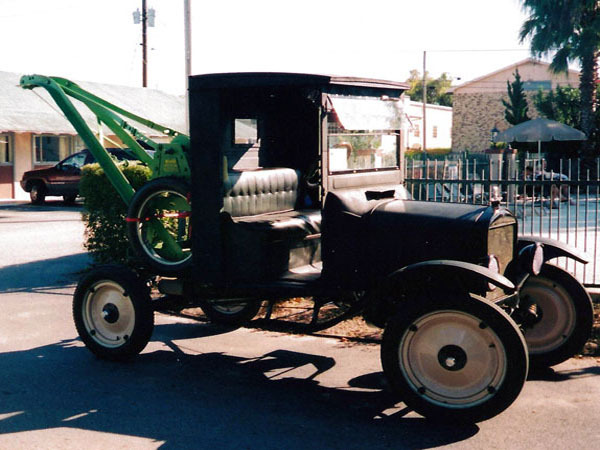 The horse and buggy went by the wayside and automobiles soon replaced them as the standard method of transportation. 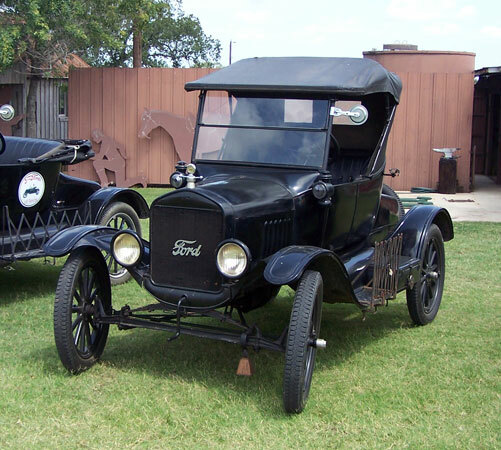 In October 1914, Henry Ford introduced the moving assembly line and began mass producing a product that most people could afford. 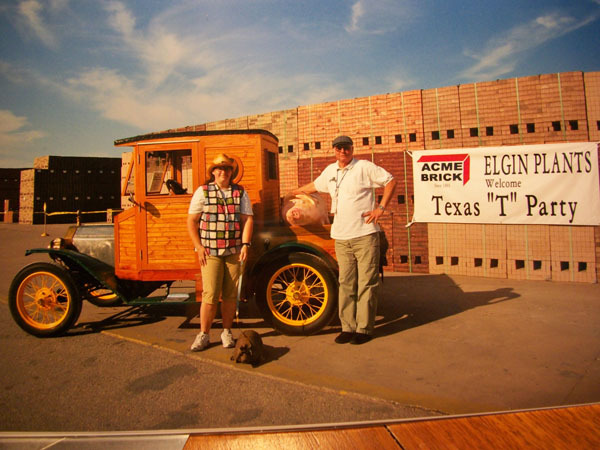 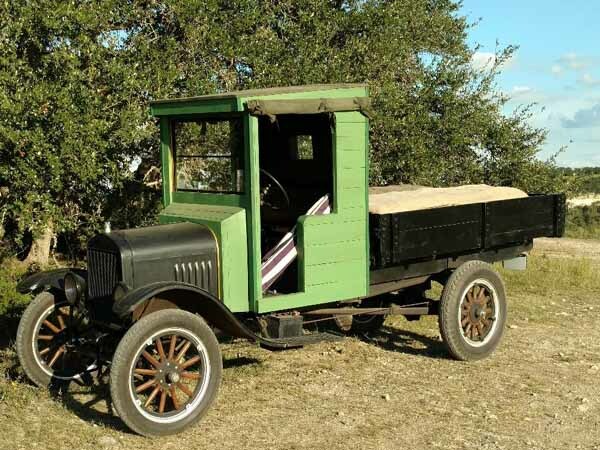 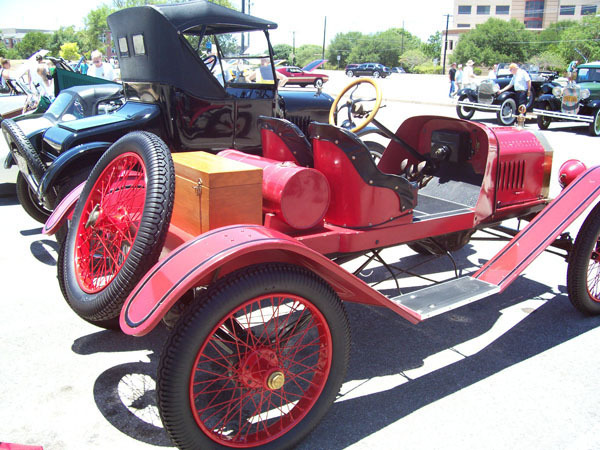 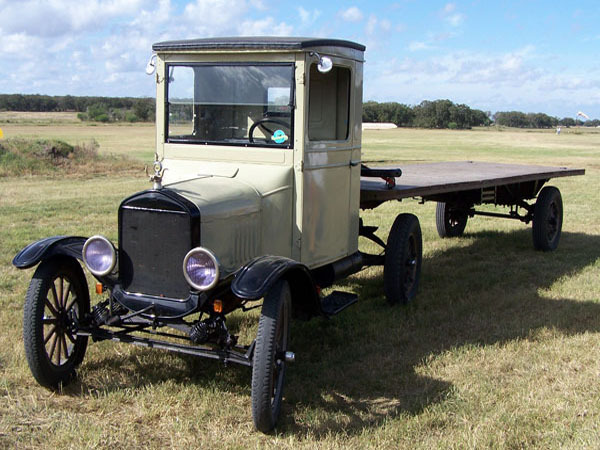 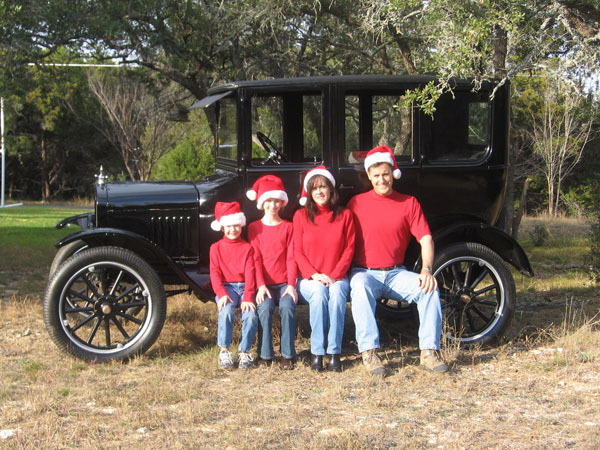 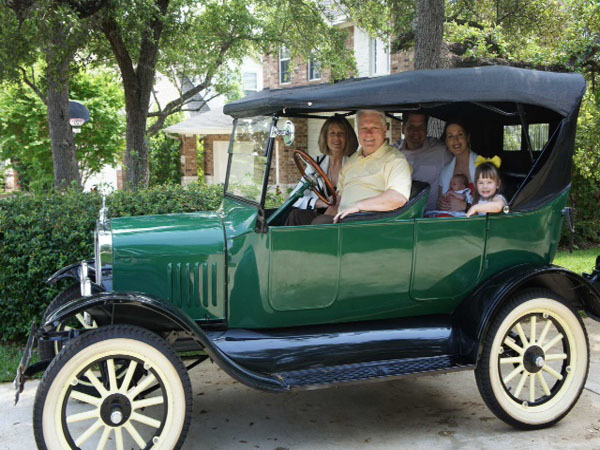 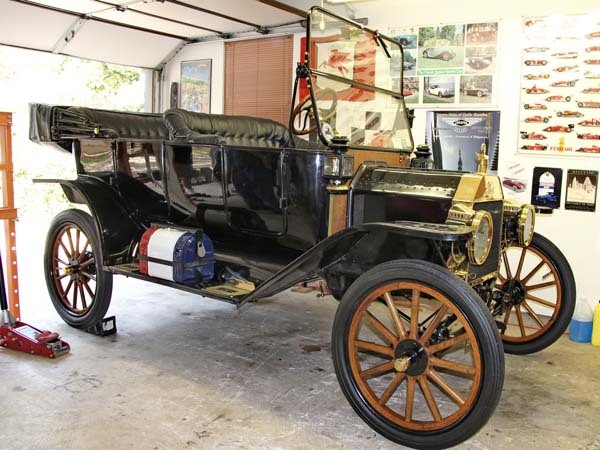 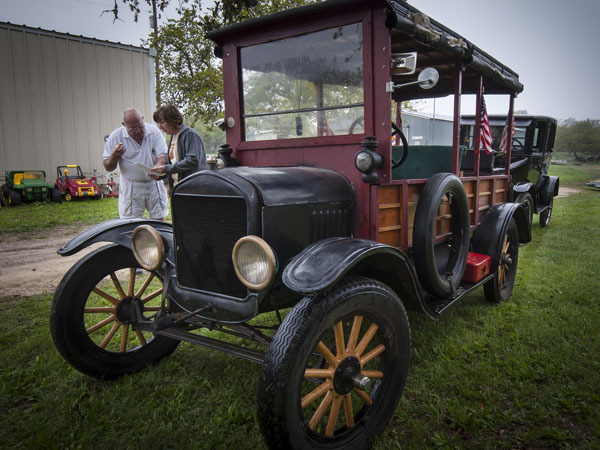 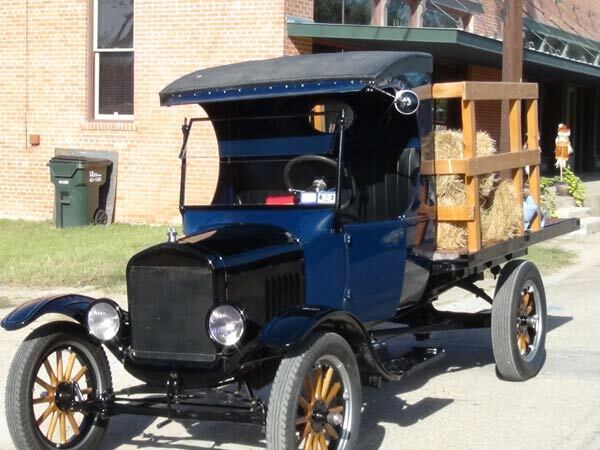 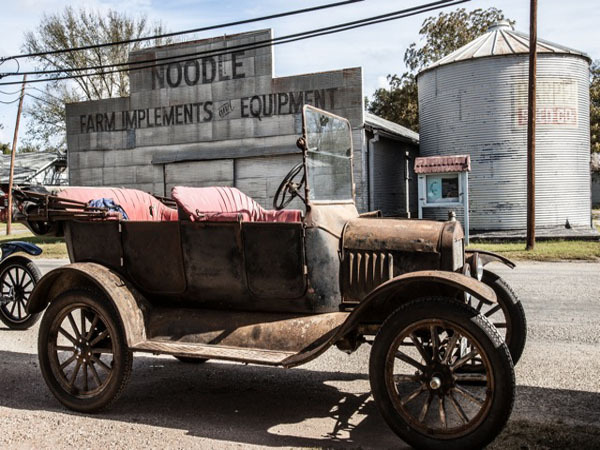 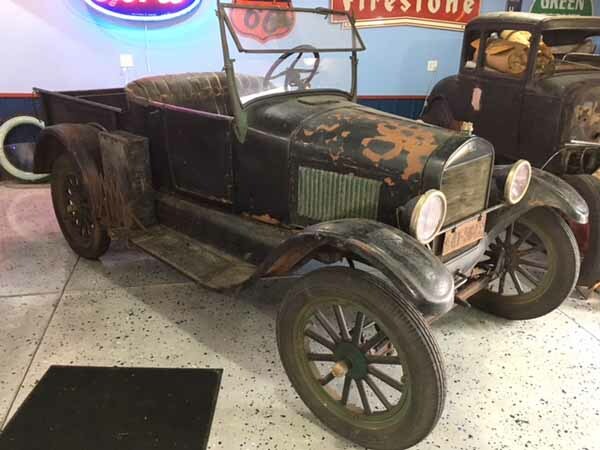 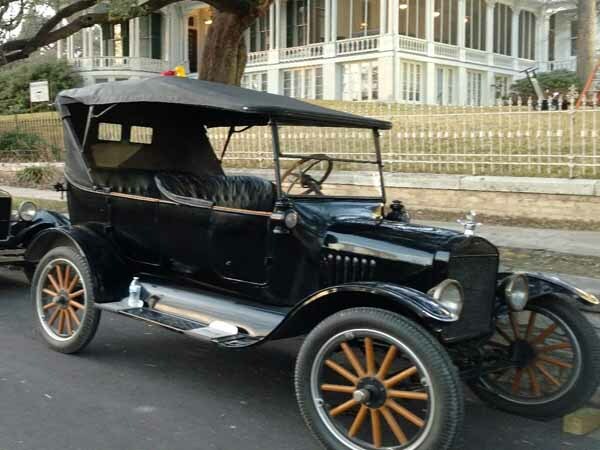 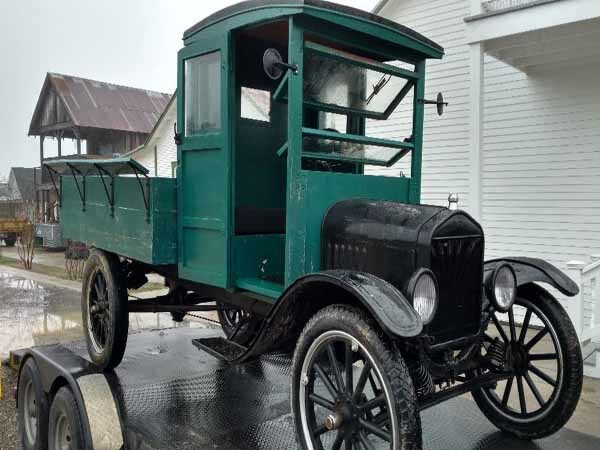 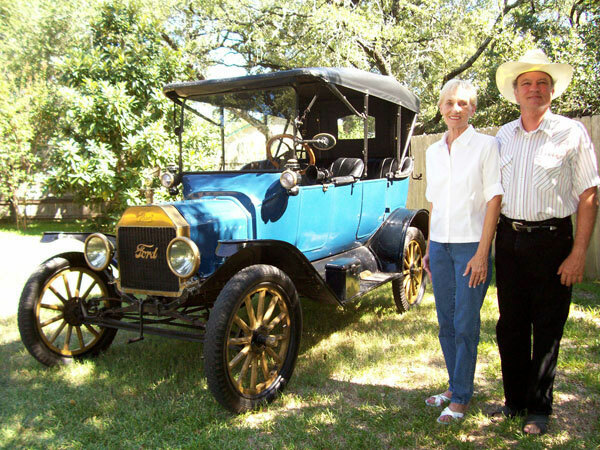 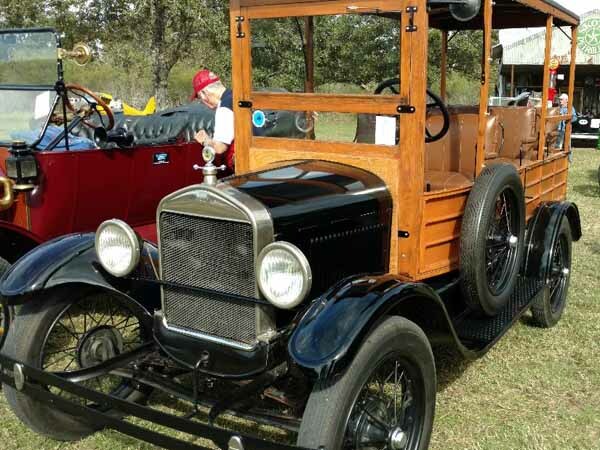 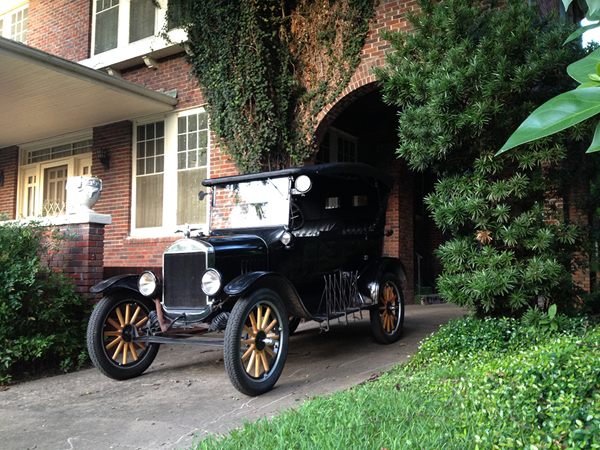 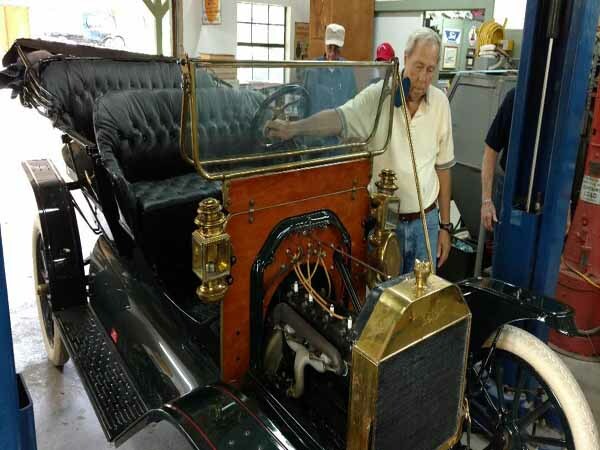 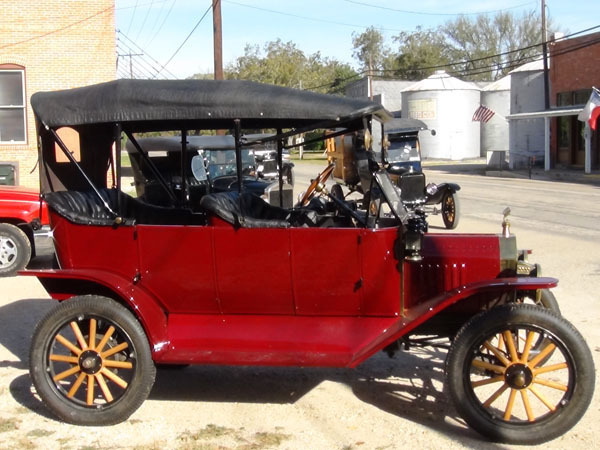 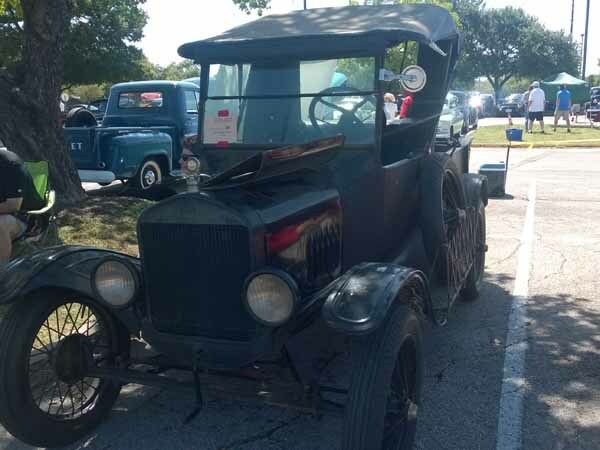 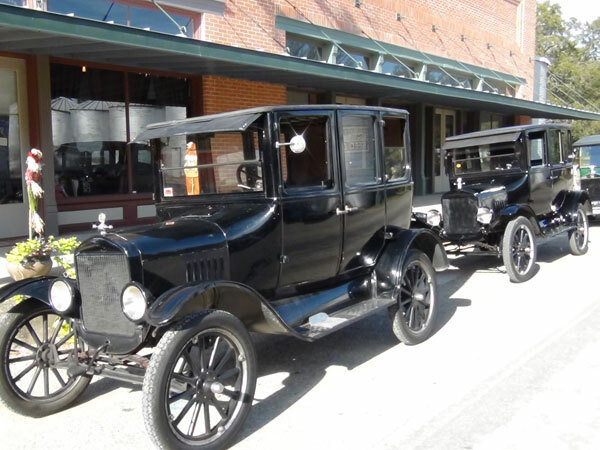 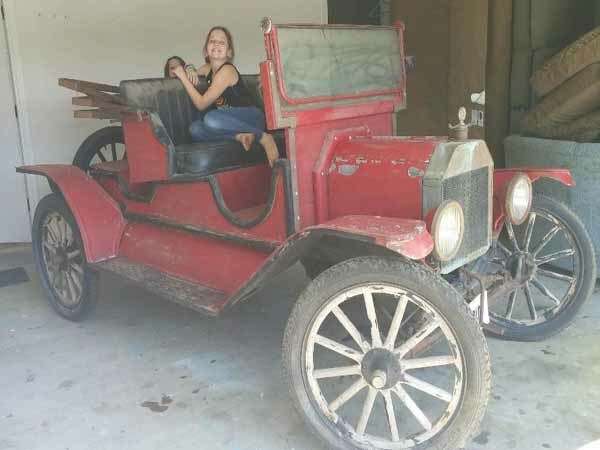 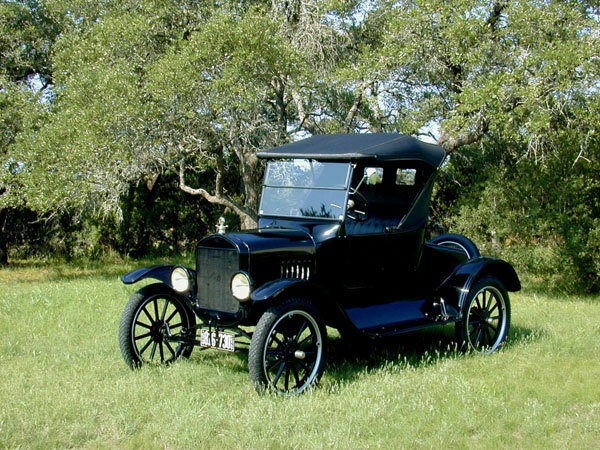 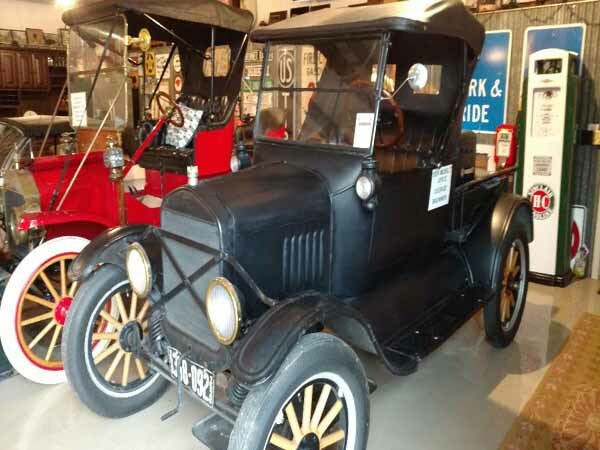 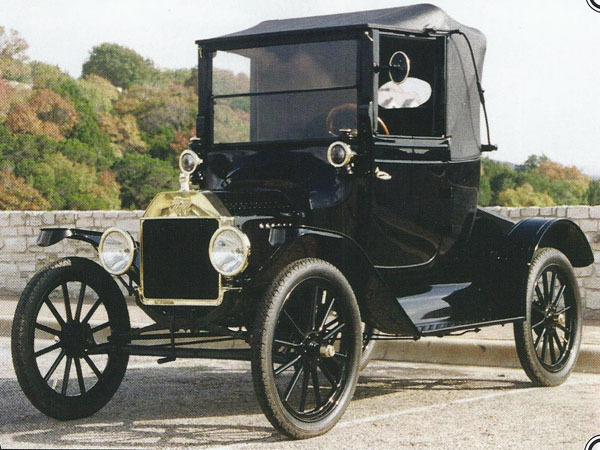 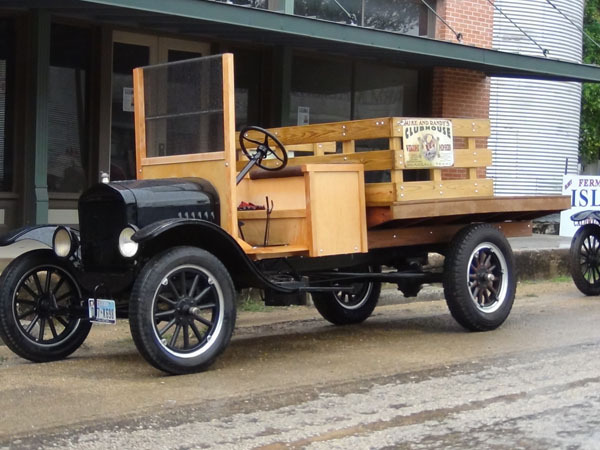 By the end of its 19th year of production, more than 15 million Model T's were built. 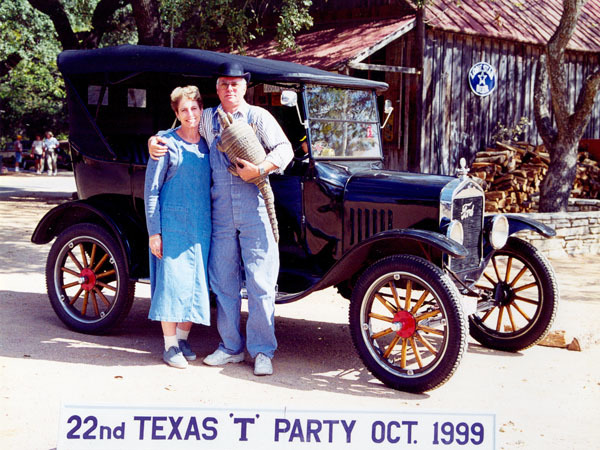 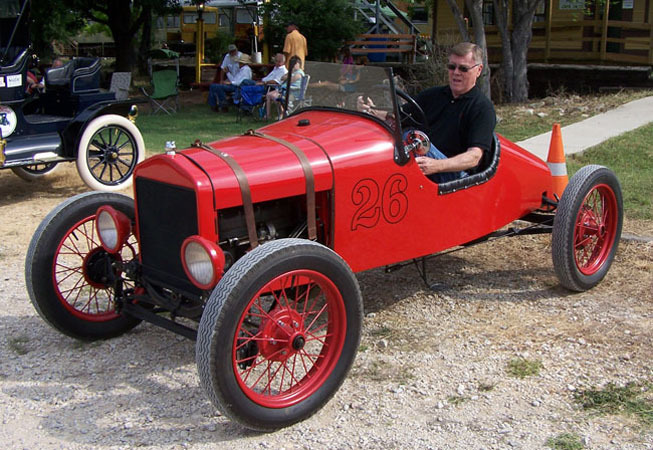 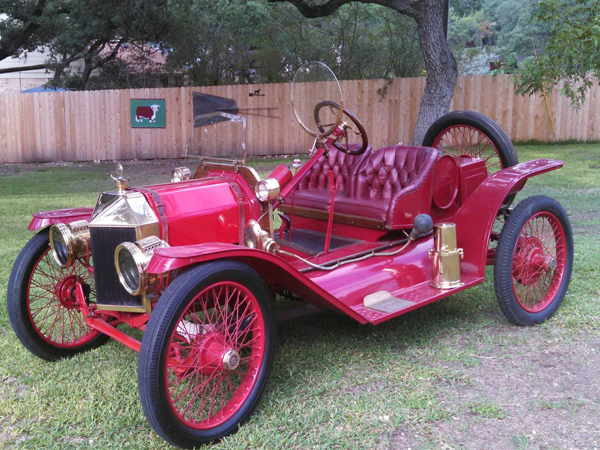 Many of these cars are still on the road today, owned and driven by fellow T enthusiasts. 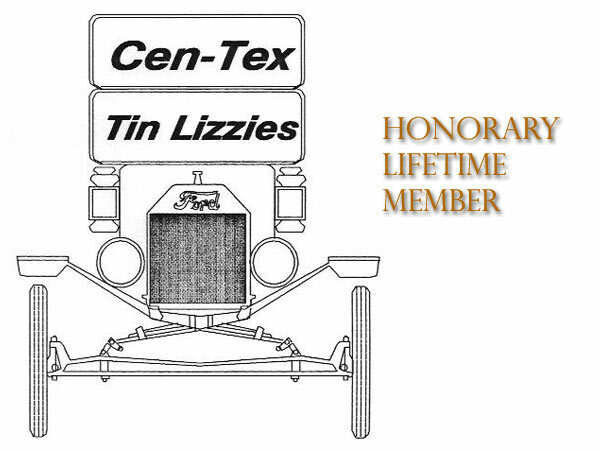 The Cen-Tex Tin Lizzies Model T Ford Club members own a nice variety of these cars and travel in them on local and national tours. 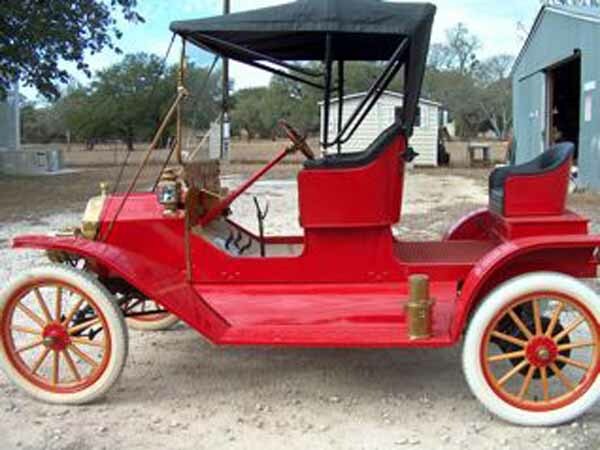 Click the thumbnail to see the larger photo. 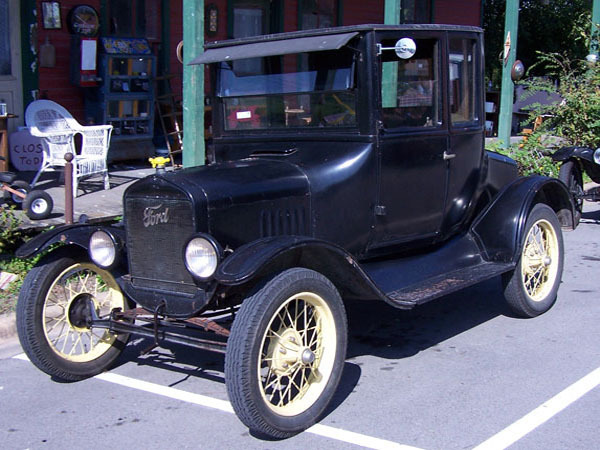 Once larger image opens, forward arrow is in top right corner of image, back arrow is in top left corner of image.